Mentor Nation Fundraising Campaign for Classroom Connections Learning Foundation - Giveffect, Inc.
Great News and Thanks to all MentorNation supporters! We have just confirmed a $20,000 donation made directly to MentorNation. As a result we are reducing our goal to $80,000 which makes us 76% to our goal. Yeah! Our Pilot Project is now underway. We are looking for Mentors in the Edmonton area. Go to www.mentornation.ca for information and registration. Don’t stop helping! We need your donations to keep this important project going! 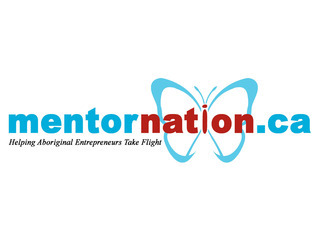 MentorNation is a unique initiative supporting Aboriginal entrepreneurship and building self-sufficiency. MentorNation believes that investing in the future of Canada’s First Nation people creates a sustainable and long-term benefit for ALL Canadians. A custom built online platform will help connect First Nations entrepreneurs with successful business leaders from across the country and provide access to an ongoing dialogue as well as resource materials. By supporting entrepreneurs in First Nations communities we can build capacity and infrastructure that will grow businesses, generate new jobs and help communities thrive. Please donate today and help support the development of this valuable national resource. HOW YOU CAN HELP 1. Donate directly. Whether it is $20 or $20,000, every dollar helps and will go directly towards the development of the infrastructure and launch of MentorNation. Please give generously. Charitable Tax Receipts are available. Click on the DONATE NOW button or send a cheque directly to Classroom Connections Learning Foundation at 31 Cavell Ave., Toronto ON M4K 1L5. 2. Lead your own campaign. Set a fundraising goal and invite friends and family to support you in helping to bring entrepreneurial resources to Canada’s First Nation communities. Click on the PARTICIPATE button to set up your own crowd funding campaign. 3. Help spread the word. Please consider sending an email to friends and family to tell them about our project or share our program on any of your social media channels. You can follow us on @CC_Learning. You can also use our hashtag #MentorNation to help get the word out. WHY THIS MATTERS There is no disputing the fact that access to opportunity in Canada’s First Nations communities is desperately low and that the situation is critical. • One in four children in Canadian First Nations communities live in poverty—almost double the national average. • First Nation people living on-reserve have and unemployment rate that is almost three times that of non-Aboriginal Canadians. • The household income for First Nations living on-reserve is approximately $16,000 compared to $36,000 for the rest of Canada. • 61% of First Nation adults have not completed high school, compared with 14% of non-Aboriginal Canadians. • By 2017 Canada is going to face a labour shortage as boomers retire and there are fewer people to replace them. Want more information? Special thanks to RBC for their initial matching donation for $25,000. Classroom Connections is a Canadian organization dedicated to developing innovative educational programs. MentorNation is a pilot project in partnership with First Nations communities where the need for alternative solutions is critical. Visit www.changeitup.ca to to learn about our other programs. about 5 years ago · Like · 1 person likes this. Thank you sdo much for supporting MentorNation! over 5 years ago · Like · 1 person likes this. We really appreciate the donation.